The Chinese have done it yet again! 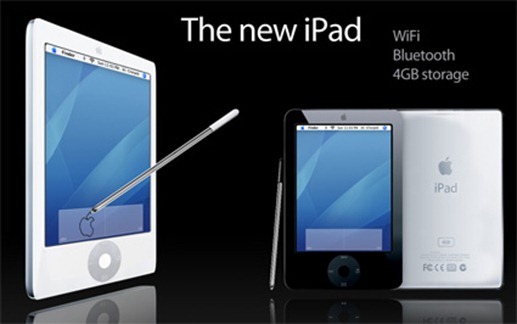 They’ve managed to counterfeit another Apple product, this time the yet to be released iPad. We’ve seen Chinese iPhones in the past, so I’m not surprised by these Chinese iPad clones. Keep your eyes wide open when you are buying one of these. The manufacturer of these counterfeit iPads, Shenzhen Huayi originate from Shenzhen, Guangdong province in China. They have priced their iPad for $290, that’s half the price of the original iPad! The release date of the counterfeit iPad is the same as the original iPad, i.e. 3rd April. The president of Shenzhen Huayi said that their iPad looks like a giant iPhone and their profit margin is extremely low per product (just 10 yuan, $1.5). Selling these counterfeit products is a life and death situation for Shenzhen Huayi, their bread and butter relies on it. There are 400 electronics counterfeiting companies in Shenzhen City alone and they believe that their iPad’s OS cannot be compared to the original iPad’s, but since it’s a very geeky and a low priced product, eventually people will opt for it. Those who has a lower budget and doesn't mind about the lagging issue, irresponsive of touch screen, Quality and OS issue, then these product will be overwhelmed. But instead, most of us wanna spend a little bit extra for Quality product. They will have their own market especially in China and those developing countries in Asia. i want to know where to get one. did i miss the link? IS THERE A WEBSITE WHERE I CAN BUY ONE? > TOO DANGEROUS space tourism! Doesn't sound like a counterfeit per se, in that they're not trying to pass it off as the original. If that's the case, there's nothing illegal about it and some competition is good. After all, Apple makes between 40-50% margins on most products. Given that the rest of the industry makes less than half that, isn't it about time they got some pressure to reduce prices? And before some fanboi like “Guest” above tells me they need it for R&D, Apple's budget this year for that is just $1.5 billion. I heard Apple makes 85% profit. And from what I understand, it is illegal for a company to maximize profits. I mean no shareholder would want a company to be as profitable as it can be, right? Who told you it is illegal to maximize profits? That is completely nonsense. that is only 0,5%. No company can long term live with such a profit margin. Even in food retail they earn more and that is even hard enough actually. From my perspective Apple is doing it the right way, being innovative, bringing interesting new products and then increase performance at even reduced price with new models. So they earn back their investment and remain successful. What? Do they said it's a Ipad? Does Apple holds the right to make touchpads? well i think the reason why its so expensive is because the “real” ipad is all hyped up and people just want to get something like it to look cool or just have the latest thing. it probably isnt any better than a bottom of the line asus laptop. i dont really see the point of an ipad, whether real or fake. however if i was one of these fools that just like to buy the latest gadget, then i;d probably take my chances on the fake one. no point in letting a multi billion dollar corporation like apple make any more money that they already have. besides apple is guaranteed to jack up their prices because of advertising, whereas the clone doesnt. ive seen quite a few versions of the clone. theres 1 with windows 7, so that probably has flash, and also another one that comes with android and most likely has flash. ive never used android and probably never will. help me out how to identify real apple ipads and fake ipads from china. a lot of ipads are sold on ebay and craigslist, which i doubt about their authenticity. I fully agree that no copy could replace the original device. I understand those Chinese earning money that way, and I can understand the motives of customers saving money buying these counterfeit devices. But all this is not right. I`m not interested in buying fake things.